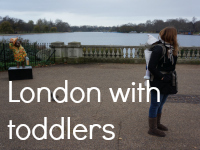 I have decided to start a new blog feature - London with toddlers. 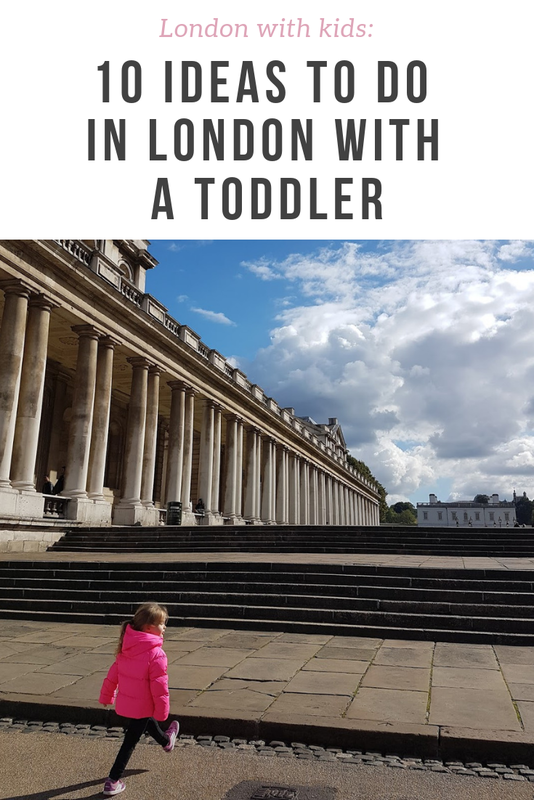 Once a month, a family-friendly place or thing to do in London, and I've thought of ten different places I think are good for toddlers. I've lived in London for about eight years now. I used to live in central London and loved visiting all the sights and just walking around. Now, living in the outskirts of London, with a toddler in tow, we rarely venture to see the sights. Toddler, buggy, public transport. Too. Much. Effort. Sitting in the train, commuting Monday to Friday does that to you. It is a crying shame living in London and not actually enjoying the unique sights and experiences London offers. So for a while I've thought about trying to do one London thing a month as a whole family, our 22 month old toddler in tow. And then of course, blogging about it! 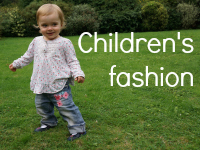 Here are ten things to do with a toddler in London. For a perfect weekend in London our family would choose a few of these to do, and pop in by some toddler-friendly restaurants in between experiences. We have been to the Disney Cafe in Harrods, and I've heard Rainforest Cafe is great for kids too. 2. And afterwards, going on the London Eye. While this is more for the grown-ups, I am sure little monkeys would enjoy the scenery as well. 4. Natural History Museum would be pretty special place to visit, with all those massive dinosaur skeletons. In the summertime the yard houses a special butterfly tent, which you can go and visit, and see lots of amazing butterflies. 5. Nearby, the Science Museum has plenty of interactive things to do, and apparently some are suitable for toddlers too. 7. Kensington Gardens has Diana, Princess of Wales' Memorial Playground, with a large pirate ship to climb aboard to. 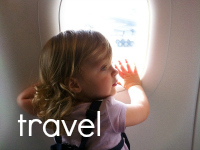 Would you recommend anything else to do with a toddler in London? The pictures are all from our last family outing to London - Hyde Park Winter Wonderland. Your list sounds great! Lots of great places to visit here :) I didn't even think of going on a bus tour, I find it so terribly touristy, but it would actually be a good idea with a toddler - they love buses don't they! And you get to enjoy the scenery :) I might try a Duck Tour too at some point. We always used to enjoy a meal at the Rain forest Cafe on our trips down (can get very busy though), and the gorilla used to scare the little ones. Ooh you are going to have loads of fun!! I love the photo of you looking over your shoulder with that gorgeous dimple! I don't know London very well I'm afraid, I do love the science museum there, I once went to an epic conference dinner there - huge planes mixed with ribbon dances falling from the ceiling and champers flowing. That was a night alright. But I recon it would be great fun to go back with the kids! Wow, that sounds like an amazing place to have a conference! I've had a few conferences in London, and that would probably be the most fun place to have a conference - thinking of all the possible fun activities you could do there between sessions! 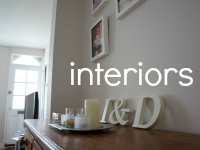 You should come to London sometime, it is a fab place to visit :) Thanks for hosting! I'm planning a trip to London with N in the next few weeks. The aim was to see the Shaun the Sheep figures, but might do Science museum or Greenwich - depending on weather and how early we get there. The Southbank's great too - lovely park area, nice walk, and lots to watch and experience.